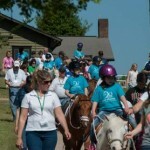 Each year Mitey Riders hosts two events to celebrate our riders – Spring Festival and The Mitey Golf Challenge. Both events are well attended by Mitey Riders families, volunteers, sponsors, alumni and friends of the Mitey Riders program. We thank our generous sponsors for making our program and these events possible! Spring Festival takes place the first Saturday in May and is a day to celebrate our riders’ achievements. Each of our Mitey Riders gets the opportunity to demonstrate their riding in front of family and friends. Each year many alumni, donors and friends of the program attend Spring Festival to recognize our riders and their accomplishments made during the season. Click here to learn more about Spring Festival. 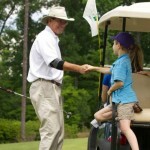 The Mitey Golf Challenge is Mitey Riders only fundraising event and is held the first Monday in June each year. Through sponsorships, registrations, and donations, the Mitey Golf Challenge raises a significant amount of funding for Mitey Riders annual budget. Over 100 golfers play each year. 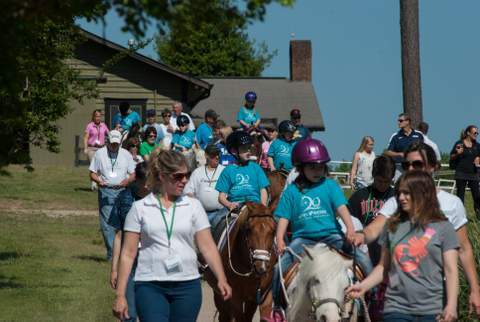 The outing is well attended by volunteers, alumni, rider families, and of course, visits from our Mitey Riders! 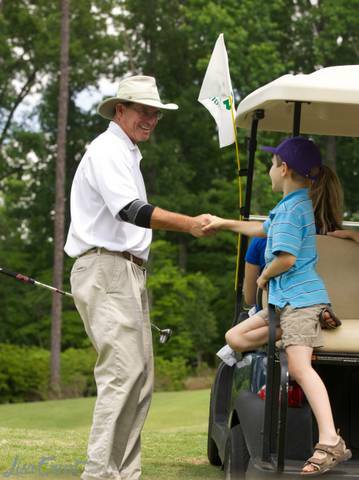 Click here to learn more about The Mitey Golf Challenge.